Will Play Points Fix the MTGO Economy? Recently, Wizards announced the introduction of Play Points. Play Points (PP) are an alternative means of paying event entry fees. Originally Event Tickets (tix) were conceived exactly for this purpose, but they assumed another secondary, or possibly even primary role. Tix are the de facto currency of Magic Online. The main difference between tix and PP is, that tix are tradable whereas PP are account bound. While PP have already been introduced the other changes are only happening on August 12. These changes affect entry fees and prizes to all kinds of Constructed events. Generally speaking all Constructed events now allow for paying an entry fee of X tix with 10 times X PP. At the same time entry fees of Constructed Dailies were doubled to 12 tix/120 PP. Finally, and this is what stirred some outrage, the prizes of Constructed events were modified. Previously prizes were paid in boosters exclusively, but now prizes are either PP or a mix of PP and boosters. This is a fundamental change, and although the changes to the prize structure were mostly perceived as cuts, things are not quite so easy. What’s the Reason for the Changes? Provide a prize that allows a Constructed player to immediately jump into a another event. At least some events provide players prizes that allow for better customization as preferences and sets change. Number one definitely makes sense. The boosters that players win in Constructed tournaments are usually converted into tix right away, and these tix are used to pay entry fees and buy new cards. However, the process of converting boosters to tix is somewhat tedious and it makes sense to facilitate this, especially for queues that players tend to enter at a high frequency such as 2-man queues. A few other reasons were not stated, but are rather obvious. Booster prices on the secondary MTGO market have gone down and down in the last year or so. When the only value of boosters is their ability to be traded for tix, then you have to wonder who is buying. It turns out the drafters buy, (with the bots acting as intermediary) because boosters on the secondary market are cheaper than boosters bought from the store. Apparently the number of Constructed players has risen to such a degree in recent times that the drafters could not absorb the number of prize boosters generated by the Constructed players. Consequently boosters prices fell, and playing Constructed became more and more unattractive, which is a concern for Wizards. Thus the amount of prize boosters had to be reduced, and this is a big part of the change. Constructed Daily Events were hugely subsidized. Per 16 players 35 prize boosters with a nominal value of 140 tix entered the market, but only 96 tix were paid in entry fees. This situation was only sustainable as long as most players didn’t really want to own a collection on MTGO, and thus Constructed events needed subsidies to fire at all. It should not come as a surprise that a company is not interesting in prolonging a subsidy when events are firing all the time, and some players even enter events at a guaranteed loss. PP allow for more fine-grained prizes. For example, 2-person queues now pay 5 PP to the loser. Paying half tix would not have been possible. PP compare easily to the value of tix (divide by ten) whereas Phantom Points had an awkward conversion rate. These queues are very easy to analyze. Assuming a 50% win rate you previously got half a booster on average for your 2 tix entry fee. Now you get 17.5 PP on average for 20 PP. Taking into account that boosters always cost less than 4 tix both queues have negative expected value for you as long as you are not significantly better than the average player in the queue. Which deal is better for you depends mostly on the booster value, and at a booster value of 3.5 tix both options are equally attractive for the average player. However, in reality boosters were always worth considerably less than 3.5 tix so the new queues are actually better for most players. The break even point for the new queues is a win percentage of 60%. You will turn a profit in the long run by playing these queues if you are better than that. Assuming an average booster prize of 3 tix (which is generous) then you would previously have to win 66.7% to break even. Analyzing multiple round events will always come with a little error as your expected win percentage is not going to stay constant. Especially in Swiss-style tournaments your win percentage will approach 50% as the tournament progresses. However, the error should not be too big for the short tournaments we examine here, and to keep things manageable we will thus pretend that the win percentages stay constant. In an 8-person queue the average player would previously have won 1.5 boosters on average for their entry fee of 6 tix. Again this would break even in a world where boosters cost 4 tix just as they do in the store. At a rate of 3 tix per pack this means a loss of 1.5 tix per 8-man entered. In the new world you will win 40 PP and 3/8 of a booster on average. At a rate of 4 tix per pack this is worse than before as it means an average player will incur a loss of 0.5 tix per queue instead of breaking even. However, boosters are not worth 4 tix. If we assume a value of only 3 tix per pack then the expected value of such a new queue is -7/8 tix compared to -1.5 tix in the old system. At this point I would like to make a digression and discuss how sensible my assumptions about the value of boosters after the changes are, and if a PP is really worth 1/10 of a tix. If you don’t care you can just skip ahead. Let’s start with the PP to tix conversion. Everything that you can do with 10 PP you can also do with 1 Ticket, so 10 PP can never be more valuable than 1 Ticket. On the other hand tix are tradable and PP are not. This tradability constitutes an inherent additional value in tix, which means that 1 Ticket must be at least a tiny bit more valuable than 10 PP. On the other hand the non-tradability of PP also means that there is no way to measure the actual value of PP, which however doesn’t mean that they don’t have a value. PP have a utility and this utility is valuable to its owner, so they have value, which unfortunately cannot easily be measured because there is nothing to compare that value to. Now that we have determined an upper bound on the value of PP we must ask ourselves if 10 PP can be worth much less than 1 Ticket. PP can be used to enter tournaments in the same way tix can be used. The ability to trade is valuable because it means that you can also get cards for tix. However, nobody prevents you from using your tix for trading and your PP for playing. A problem arises only when you generate more PP from playing then you can spend on new tournament entries. For example if all you ever wanted to do was play 2-mans and you won 70% of them, then the non-tradability of PP would become an issue because PP would accrue. If you win enough you will encounter the same problem with 8-mans and Dailies, so for a player that is really good at Constructed and hates all other forms of Magic, PP are not optimal. Everybody else can just burn 140 PP on a draft, and thus convert their PP into actual value. What about boosters? Currently in-print packs are worth 1.5 to 2.8 tix. After the announced changes 2-mans will award 0 instead of 1 pack as prizes (-100%), 8-mans award 3 instead of 12 packs (-75%), and Dailies award 18 instead of 35 packs per 16 players on average (-49%). Thus the number of prize packs will be drastically reduced. The excessive amount of Constructed prize packs was precisely the reason for the low value of boosters as drafters couldn’t burn boosters as quickly as Constructed players won new packs. With the influx of packs reduced by 50-100% the drafters’ demand for packs might well exceed the supply created by Constructed players. When that happens the secondary market value of packs will approach 4 tix very quickly. I suspect that this is actually one of the goals of this change, and I trust in Lee Sharpe being able to do the math, thus it will probably work out this way. For the rest of the article I will assume that after the changes, prize boosters will be worth 4 tix although of course they will be worth just a little less even in the best case, but calculating with 4 instead of say 3.87 is just more convenient. Dailies have gotten the most abuse because their prizes were vastly reduced (per Ticket of entry fee paid). But we have already seen that even a nominal reduction in prizes can be good for the players if the greater real value of those prizes is more significant. An average player will at the moment win 2.2 packs per Daily. At a rate of 3 tix per pack and an entry fee of 6 tix this amounts to a win of 0.6 tix per Daily. In the future a player will win 67.5 PP and 1.1 packs per Daily which costs 12 tix to enter. Even at a pack value of 4 tix the average player will thus lose 3/4 tix per Daily. (It is -1.9 at 3 tix per pack.) The break-even point will be about 51% compared to 48% today. Now this is of course considerably worse than before. Players have to pay more to enter, but instead of ending up with a small win on average they will end up with a small loss. The huge “but” here is that with this change Dailies will be in line with the other Constructed events instead of being incredibly good value. However, not only average players play Dailies. How about the grinders, who live on Dailies? Let’s assume a grinder wins 2/3 of their matches. They would currently win about 4.5 packs per Daily, turning a profit of about 7.6 tix. After the change they will win 2.4 packs and 142 PP, turning a profit of about 11.7 tix. (9.3 at 3 tix per pack.) Now these numbers are not directly comparable as the entry fee of Dailies increased. The profit per tix that you invested into the event will still better for the old queues. While this is relevant, the questions is: to whom does it matter. If you are the person that lives on MTGO then you would probably prefer the new version anyway because you can only play a certain number of events per day. If the total EV of these is greater than before then you will have more money at the end of the day. If you don’t like the swings of winning and losing big amounts of tix, then the new Dailies are worse for you, because the higher stakes will lead to bigger swings on your bankroll. This disadvantage should at least partly be counteracted by their higher EV and the more attractive alternatives. A few days after the initial announcement Wizards added further changes to Legacy, Vintage, and Pauper Daily Events. 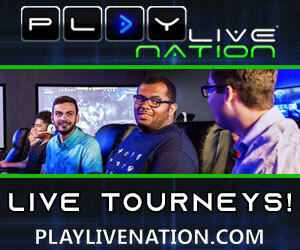 These will be 8-person minimum tournaments with a different prize payout. The entry fee is 6 tix/60 PP. A 3-0 rewards you with 80 PP, 3 packs, and 2 QPs, a 2-1 result is worth 60 PP, and 1-2 is 20 PP. This means an average player will lose about 0.5 tix per entry into one of these Dailies, and the break-even point is slightly lower than winning 53%. If you assume that packs are worth only 3 tix, then you need to win about 55% to break even. 2-person queues are the big winners of the changes. Previously these became unplayable when pack prices approached 2 tix or sometimes even sunk below that mark. That made just entering the queue guaranteed a loss. Although the nominal payout has been reduced a little, their real payout is going to be a lot better than it was before due the stability in value that PP will provide compared to boosters. 2-mans will still not be great, but probably become a reasonable alternative if you want to play a quick match. You can dive into these queues without worrying about pack prices. And while nobody will amass a fortune here, a good player should at least turn a slight profit. 8-person queues are also a winner of the changes. Analogous to 2-person queues their prizes have nominally been slightly reduced, but their value will be a lot better after the changes nevertheless. Dailies got quite a bit worse at first glance, but it turns out their expected value didn’t even decrease all that much. Again this is mainly due to the huge difference in nominal and real value of the booster prizes we currently get. The higher entry fee certainly stings as it will lead to greater swings on a player’s bankroll, but in the end Dailies will continue to be the best choice for competitive-minded players. The real problem with Dailies might be that they are only very slightly better than 8-mans. This is a problem, because Dailies are way more inconvenient to play. You have to have the time to play when they are scheduled, and then the rounds take longer and you need to have more than three hours of time to spend instead of less than two. Their QP payout is also less attractive. All these things combined might make players hop into 8-mans instead of waiting for Dailies. Dailies were not hit as hard as players perceived but they might die due to these changes after all. All things considered I believe these changes constitute a significant improvement to Magic Online’s tournament system. I am aware that most people disagree, but in my opinion that is mostly due to the hit to Dailies and the notion that in theory all queues pay very well right now. However, thinking of the current system with pack prices of 4 tix in mind is deluded. In the future the discrepancy between nominal and real value of the prizes will go away, and instead Wizards will keep a small rake for themselves. This should benefit players as non-Daily events will be way better value than before. The hit to Dailies feels bad, but was probably unavoidable if you want a stable economy. Having a severely subsidized event caused trouble and would have continued to do so. As the alternatives to Dailies have become fine, the main grievance might actually be that fewer Dailies means fewer deck lists.